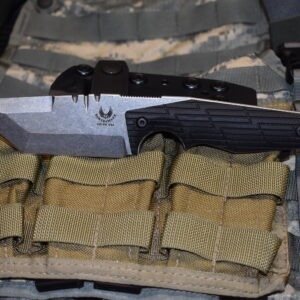 The original Kabar TDI (Tactical Defense Institute) knife designed as a last ditch backup for law enforcement officers. 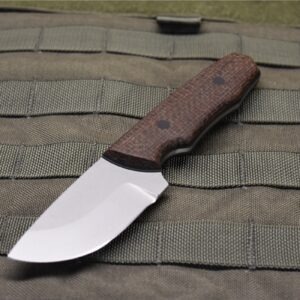 These are well made with an excellent sheath system. 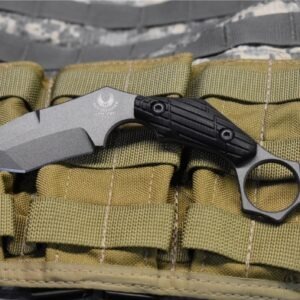 In extreme close-quarter encounters where a suspect is attempting to take an officer’s handgun, or an officer cannot access his or her handgun, the TDI knife is available as a “last option” knife. When worn on the pant belt the entire unit – knife and sheath – is well concealed. 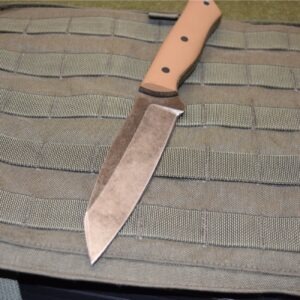 Designed by John Benner, founder and owner of Tactical Defense Institute. Hard plastic sheath and reversible black metal belt clip (1480CLIP) included. Fits maximum belt height of 1.75″, width of 1.25″ and thickness of 0.25″.